The presumption of innocence is the foundation of what is often referred to as “due process” of law in our society. It is the responsibility of investigators to review, investigate and analyze criminal and civil allegations made by those who represent themselves as victims or otherwise injured persons. These investigations, whether criminal or civil, involve the careful and focused analysis of circumstances, statements, facts and forensic evidence. In conducting these inquiries, investigators must carefully identify and weigh information, facts and evidence that are exculpatory or innocent in nature against those which are inculpatory, or criminal or negligent in nature. Unlike attorneys or politicians who advocate for people, causes, or political ideologies, true forensic investigators advocate only for those facts and evidence that can be gleaned from their investigation. Given the increasing introduction of politics into criminal investigations, the investigative mission of searching for the truth rather than succumbing to political pressure becomes even more important and is sometimes a significant challenge and stressor. Every case “is what it is,” with “all of its warts, ugliness and “baggage.” In the case of allegations of sexual impropriety or abuse, especially when the alleged incident has gone unreported for many years, or suddenly surfaces proximate to something, such as a political event, determining the actual truth is sometimes difficult, if not impossible because the statements of witnesses and even alleged victims are subject to influence by factors such as manipulation, revenge and even political agendas. 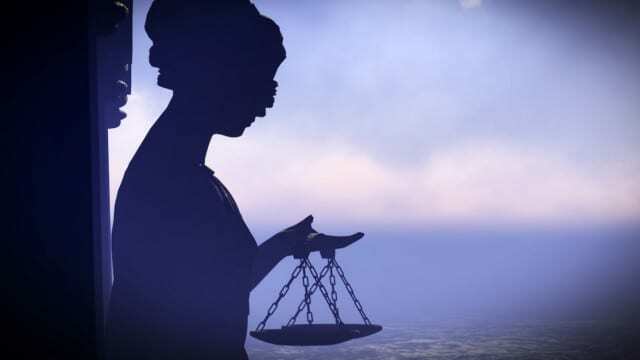 That Justitia or “Lady Justice”, the figure we often we see standing outside courtrooms and as a symbol of justice, wears a blindfold, reminds investigators and prosecutors of their duty to avoid bias, whether implicit, confirmation, or political, in the performance of their duties. When politics influence the course of an investigation, it becomes tainted and non-credible. Politicians rarely place truth above self-serving or political advocacy. Investigators, prosecutors and fact finders rely on “standards of proof” in making their determinations, findings and judgments. Generally, the law prohibits investigators from using mere suspicion, speculation, hunch or educated guess in forming or stating their opinions. The lowest standard of proof is referred to as “reasonable suspicion.” Reasonable suspicion is generally defined as circumstances, statements, facts and/or forensic evidence that would cause a prudent investigator to believe that criminal activity has occurred, is occurring, or is about to occur and that there is some connection between a person and that activity. Reasonable suspicion allows investigators to involuntarily detain people and conduct investigations. But even reasonable suspicion is more than a mere hunch. A higher standard of proof is “probable cause.” Probable cause is generally defined as circumstances, statements, facts and/or forensic evidence that would cause a prudent investigator to believe that a person has committed a crime. Probable cause allows an investigator to arrest a person, seek and obtain search and arrest warrants. Probable cause is also the legal standard used by grand juries to indict and by judges in determining whether persons accused of a felony can be required to stand trial. The highest legal standard in criminal cases is “guilt beyond a reasonable doubt.” This is the standard evidence must meet before a person can be convicted of a crime—whether by a judge or jury. Forensic investigators and court experts do not use this standard, although a fact-finder may be called on to decide whether the investigator or expert’s work-product proves guilt beyond a reasonable doubt. “Preponderance of evidence” is a standard which sometimes governs the admissibility of evidence in a criminal trial and is the standard by which a person may be held liable in a civil lawsuit. It simply means if evidence favoring one side “preponderates”, i.e., is more than 50%, then that party prevails. A “preponderance” refers to evidence that is more convincing and probable in its truth or accuracy; not the quantum or amount of evidence. Thus, one clearly knowledgeable, credible witness may provide a preponderance of evidence over several witnesses with vague recollection or a motive to exaggerate. Similarly, a signed agreement with definite terms may outweigh opinions or speculation about what the parties intended. Preponderance is the lowest standard used to decide contested issues in a courtroom. In any adjudicative proceeding injured parties and witnesses are precluded from offering speculation, suspicions, hunches or educated guesses in their testimony. Judges and juries are referred to as “triers of fact,” not triers of speculation or guess. Forensic investigation must strive to be fact driven. The responsibility of the fact-finder, whether judge or jury, is to try to reconcile often conflicting evidence. In many cases; especially those involving allegations of sexual impropriety or assault, this is no easy chore. Allegations of sexual misconduct are often serious in nature. Lives and reputations can and have been ruined by false allegations and victims are often seriously harmed by sexual assault. Accordingly, the claims of persons who represent themselves as victims must thoroughly documented and carefully vetted. Some cases involve emotionally compelling evidence and very sympathetic victims. Therefore, investigators should be vigilant to ensure that their basic humaneness and desire to support a person who may have been traumatized does not conflict with their responsibility to conduct a thorough and unbiased investigation. To meet the legal standards of proof, investigators and prosecutors must ensure that the forensic interviews of complainants, witnesses and persons of interest are supported by verifiable facts and forensic evidence to the fullest extent possible. The location, date(s) and time(s) of the alleged offense(s) must be verified if possible. Statements of any witnesses supporting the complainant must be obtained, documented and vetted. Statements of suspects or persons of interest must likewise be thoroughly examined. Forensic evidence available either voluntarily or through a search warrant must be seized, documented and analyzed. Finally, all statements of the involved parties must be reconciled against the physical and circumstantial evidence to attempt to determine what, if anything, occurred. In my experience, it is often challenging for people to analyze sexual assault claims or other high-profile and serious allegations as a search for the truth. Too often they become emotionally engaged in a manner that compromises their common sense and ability to apply the law and the applicable legal standards. The challenge is exacerbated by politicians, activists and a news media that often have an agenda other than objectively reporting facts. It is the responsibility of the forensic investigator to not be influenced by such noise. Contrary to widely held popular opinion—that investigators don’t reach conclusions in their cases—they actually make forensic conclusions in almost every case they investigate. Their conclusions involve preliminary determinations of whether or not reasonable suspicion, or probable cause exist to take further law enforcement action. However, investigators also take difficult cases to prosecutors for final evaluation and input because it is the prosecutor’s responsibility to ensure that investigations are properly conducted and to determine, in the final analysis, whether a criminal prosecution should be brought. Unlike we see in television crime drama programs, a criminal investigation does not end when an arrest has been made. Often, this is where the in-depth investigation actually begins because now the focus becomes “is there sufficient evidence to prove this case beyond a reasonable doubt”? In a non-criminal (civil) case, the legal standard is merely a preponderance of evidence, but in a criminal case the evidence must convince twelve jurors of guilt “beyond a reasonable doubt”. It is difficult for the public and the news media to accept that in some instances of alleged sexual misconduct, the allegations of people representing themselves as victims and otherwise injured persons cannot be supported by verifiable circumstances, witness statements, facts and/or forensic evidence. There are many reasons for this, including hazy or faulty memories, intoxication/drug influence, mental health instability, the passage of time, lack of supporting witness statements, lack of supporting forensic evidence and sometimes the deceit of the complainant and complicity with the alleged perpetrator. Political spin and special-interest advocacy do nothing to facilitate the search for the truth, or the cause of justice for anyone. Rather, it often impairs truth-finding and deprives parties of due process. One can never be certain they won’t need the benefit of the presumption of innocence and due process. Accordingly, we should all be skeptical about media-driven feeding-frenzies involving salacious sexual allegations because we never know when the we too might need the benefit of those protections as well. Ron Martinelli, Ph.D., CMI-V, is a nationally renowned forensic criminologist and retired police detective with the San Jose (CA) Police Department. Dr. Martinelli directs the nation’s only Forensic Death Investigations & Independent review Team and is the author of the new book, “The Truth Behind the Black Lives Matter Movement and the War on Police,” The Show: A Thread of Evidence deals with real crime stories; their victims, violators; and cops and forensic investigators who solve those crimes and bring the bad guys to justice. Go out onto the mean streets; visit the crimes scenes and work in the forensic lab with your host nationally renowned forensic criminologist and investigator DrRon Martinelli.